John Barclay has published 3 books, The Appeal of the Championship: Sussex in the Summer of 1981 (2002), Life Beyond the Airing Cupboard (2008) and Lost in the Long Grass (2013) Fairfield Books, Bath. Is cricket really a team game, or are you on your own when you play? In this book, 25 former cricketers write fondly, wittily, reflectively – about favourite team mates, the people with whom they enjoyed playing, the ones who gave more to the side than just runs and wickets. Edited by John Barclay and Stephen Chalke, contributors include Mike Atherton, Clare Connor, Chris Cowdrey, Angus Fraser, Rachel Heyhoe, Alastair Hignell, Simon Hughes, John Inverarity, Steve James, David Lloyd, Vic Marks, Geoff Miller, Paul Parker, Derek Pringle, Tim Rice, Mike Selvey, Michael Simkins, Ed Smith, Mark Wagh and Andrew Wingfield Digby. 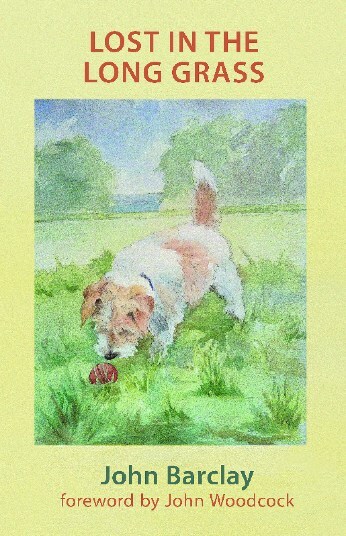 It is being published by Fairfield Books, with all monies going to the Arundel Castle Cricket Foundation. Click here to order a signed copy or contact John Barclay directly on 01903 882602. Please add £3 for p+p. I wrote this in response to nobody. I just thought it would be fun to scribble down a few bits and pieces that have either amused or interested me as life unfolded. Mostly they are about cricket or at least influenced by the game. That might be enough to put a few people off although there’s plenty of non-cricket stuff too by way of variety! It all starts at Summer Fields, indeed the airing cupboard is based upon the old drying room next to the showers at the far end of the changing room with its string bags full of smelly games clothes. Many will remember that. The Dragon School and of course the dreaded Horris Hill play leading roles as the stories get under way. It’s all meant to be fun, balanced with occasional serious moments by which time the airing cupboard has been left well behind. This column does not plug ghosted books by cricketers with no literary ambition, which is why it is happy to recommend John Barclay's Life Beyond the Airing Cupboard. This is not a book for those who are interested in big names and great events, although there is a smattering of that kind of thing when Barclay touches upon his experiences of managing England through a period of turmoil in the mid-1990s. Rather, it is a book about English cricket as it used to be: pre-Thatcherite cricket, before the bean counters came in and the county game was forced to justify itself. 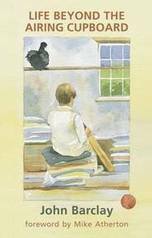 This is a book, I suspect, for the older generation: the newspaper-reading, county cricket-watching generation who mourn the loss of week-long county festivals and the vitality and variety produced by three-day cricket on uncovered pitches. Like all good books about sport, it is about more than that: it is about life, love and loss, too. Even better, it can just about fit into your jacket pocket. JOHN BARCLAY's was a career of almosts. As an offspinning allrounder he fell just short of Test class. As a talented, unorthodox captain of Sussex he ended 1981 a fingernail short of their first Championship. As manager of England tours in the late 1990's he left just before the Duncan Fletcher renaissance. But there is no 'almost' about this memoir. The closest he came to Test cricket was in that bitter-sweet summer of 1981, when he captained the TCCB XI, in effect a national 2nd team. Addressing the squad in front of Alec Bedser, the chairman of selectors, Barclay's speech reached its rousing climax. With the words still hanging in the air, he turned to his left, opened the door to toss up - and walked directly into an airing cupboard. The dressing room fell about; Bedser looked startled; Barclay never played for England. For many cricketers those near-misses would have produced a bitter, score-settling sort of memoir. But these moving reflections on cricket and life glow with a winning, almost Hobbsian, generosity of spirit, soaring above petty rivalries to approach, at times, the level of spiritual meditation. Barclay the cricketer presents himself as a kind of offspinning Bertie Wooster, bumbling through a career of occasional lucky successes and many routine failures. These included the key role his captaincy played in bringing Sri Lanka to the public's attention and catapulting them into Test cricket, when a ploy to let the opposing batsman set the field went wrong for the TCCB XI. However, as well as laughter, we find a moving human story of quiet courage in the face of an enemy more formidable than anything he met on the field. From his first days as an outstanding public-school batsman he knew 'the fear and insecurity that accompanies talent'. The airing cupboard of the title was his refuge, into which he disappeared to calm himself before games. Nerves became crippling anxiety and depression. While smiling in front of his team, he secretly took anit-depressants for most of his career. Trying to come off them he ended up spending a long period in a hospital for the bewildered, a place of dressing gowns and shuffling silence from which he periodically tried to escape. For years he played on, disguising his illness as 'glandular feaver'. It is a moving story, the more so for its lack of showy self-dramatisation. The book comprises 30 episodes, each carefully evoked. This eliminates dreary stretches of routine reportage - a format other publishers could fruitfully investigate. What emerges is a rounded portrait of a quietly remarkable man. The last scene is a contented protrait of his garden, with a lawn for football and cricket, and rabbits for the Jack Russell to chase. Perhaps that is the real secret of Barclay's lack of rancour; a man who, against the odds, has learnt to tolerate himself perhaps finds it easier to tolerate everyone else too.